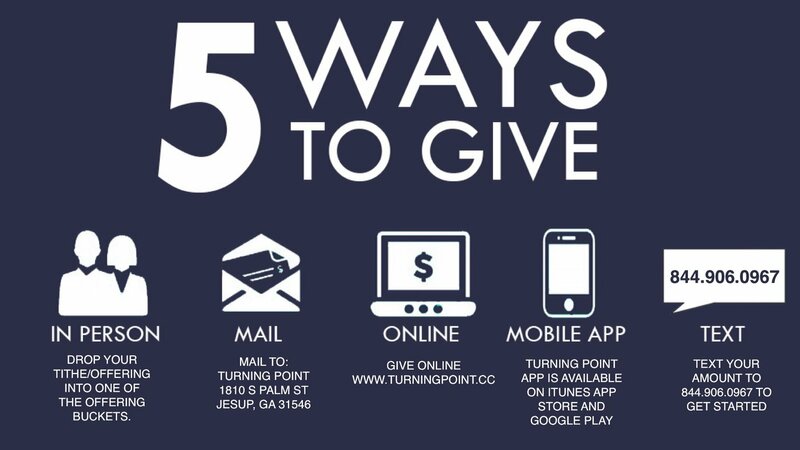 Thank you for using the Turning Point online giving option to join us in our mission of reaching people with the life-giving message of Jesus Christ. As many people enter into a relationship with Christ, please know that it couldn't happen without your generosity. We are truly grateful for your donation and hope the convenience and simplicity of online giving will be helpful to you. To try it out, send the amount you desire to give (example: $100) in a text message to 844-906-0967. 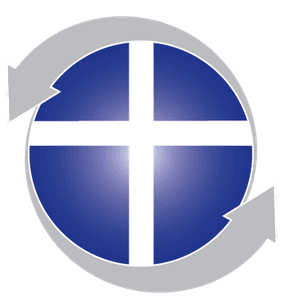 If this is your first time, you will be asked to complete a one-time form, safely linking your card to your smart phone. This new way of giving is not charged to your phone bill. You will receive a text confirming your gift. From here on out, you will be able to give anytime from anywhere with a single text. *Text the amount to 844-906-0967. (Example: $100). *NORMAL TEXT MESSAGING AND DATA RATES APPLY. Click the link to set up your account.